Why Create an IT Strategy? Let’s be clear about something right off the bat—an IT strategy is a critical component of small business success. However, many companies invest heavily in strategizing other areas of their business—marketing for example—but only develop their IT strategies as a reactive measure to support other business systems (or when things go terribly wrong!). We’re here to urge you to take a proactive approach to your small business IT, one that will support and optimize your internal operations across the board. After all, pretty much every aspect of your small business is tied to technology in one way or another. Taking the time to develop a highly effective IT strategy has helped countless businesses like yours realize a much greater return on their tech investments and establish a foundation for long-term success. We’ve created this guide to help you do the same. Technology underpins nearly every one of your business systems: how you communicate, store and access your data, and how you manage your relationships with your customers. It all ties back to IT. That’s why it’s critical to have a plan in place that defines your business goals, how technology can support them, and a timeline of actions you’ll take to achieve them. 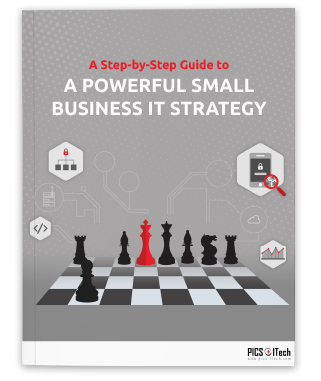 In the following sections we’ll be walking you through the step-by-step process of creating your own highly effective small business IT strategy from start to finish. By the time you’re finished with this guide you’ll have everything you need to establish your own adaptable, secure, and future-proof strategy to better take on the challenges of modern business. Not ready to read the entire guide? Download it now and read it when you can take advantage of all of its value! We’ve already mentioned how intertwined technology is with every facet of the modern small business. Because it’s so foundational to the way you operate, maintaining a weak or non-existent IT strategy can be wasteful, both in capital and operational efficiency. Rather than being proactively engaged and adapting to changes in your business, lack of an effective IT strategy can cause small businesses to make reactive technology decisions. Sound familiar? That type of IT initiative typically leads to continually decreasing levels of efficiency and reinforces the habit of putting out fires and playing catch up when you should be optimizing your business systems. You may already have a version of an IT strategy in place, or you may not. However, before we get started with the step-by-step process of building your own, let’s get clear on exactly what a highly effective IT strategy looks like. To set the right expectation going into this guide, let’s get this part out of the way early. Creating an IT strategy once and assuming your job is done will leave you with weak points in your IT initiatives down the line. Instead, it’s important to understand that these documented strategies must continually be updated and revised based on the current needs of your business, which as you know are always changing. Traditionally these documents are updated annually, but with the speed at which modern technology and the modern small business each evolve, today’s highly effective strategy may need updating by next quarter. Furthermore, as you’re just creating your new official strategy you’ll need to review it based on how it performs in real life and make optimizations over the coming months. Be prepared to treat your IT strategy as a living document and use it as a framework for your business’s IT operations. Rather than designing IT systems to support your existing business goals and requirements, effective IT strategies work to align with them on a fundamental level, often requiring the updating of your current systems and processes and new definitions of business goals. That may mean shaking things up in your business, but that’s okay! Rather than continuing to do things the way you have been because “they work,” your strategy may require updating the way you do things as a way to improve your business’s long-term efficiency, productivity, and IT ROI. This may sound like a lot of work, but in the end you will have systems in place that can move your small business forward in a more efficient and cost-effective way. Who wouldn’t like that? Your documented, reviewed, and regularly optimized IT strategy supports your business outside of the direct application of technology in the workplace. It ensures your budget is used to create value, both in your technology spend and in ensuring that spend supports the rest of your business to perform at its best. Furthermore, it holds your team accountable for sticking to implementation of technology systems that will empower your long-term business goals, growth, and success. While you may assume that only IT-related personnel need to be actively engaged with your strategy document, consider the fact that many of your different departments will be contributing to its creation. By having this multi-departmental team you avoid future "shadow IT” initiatives, which are costly and often misdirected. Before you get started, establish a team to head up the creation of your small business IT strategy. Appoint representatives from each department that will be able to voice their department’s unique pain points and continue working to resolve them. Remember, technology impacts everyone in your company. Your IT strategy should reflect the input of every department and the interests of all of your employees. Now that we’re clear on why your IT strategy is so important, how it can help your small business, and who should be involved in the creation of your IT strategy, let’s get into the step-by-step strategy development process. We’ve mentioned it previously, but we want to be clear that your strategy needs to be clearly documented. Establish a formal, living document that your employees will be able to refer to and update as you move forward. As you begin to draft your IT strategy document, you’ll be best served to create an empty framework and fill in insights as they become available. The structure of each document will vary greatly for every business, but use the example sections below as a baseline that you can modify and tailor to your small business. Introduce new readers as to why your IT strategy was created and what is contained inside. Use language that speaks to the variety of your employees that will be referring to your IT strategy document. Be sure that this section provides high-level explanations of how your IT strategy ties back to your company’s vision, mission, and overall business objectives. Help readers understand what they can expect to learn from your strategy doc. This introduction will be specific to your unique business, so use language that resonate with your employees and make it as personal and relatable as possible. Goals are the foundation of every small business IT strategy. By clearly outlining what you want to accomplish you’ll be able to establish a plan of action to do so. Without clearly defined goals, each action you take will be far less efficient and the outcomes may not be what you originally desired or required in the first place. That’s why it’s vital to establish a comprehensive list of your small business needs and define how they relate to your technology. Your goals should focus on minimizing the number of individual systems, vendors, and the requirements for the integration of your various technologies. For you, this means a decrease in resources being allocated to maintenance and administration, as well as further savings. In order to establish clear goals, you’ll need to accurately evaluate the unique needs of your business. To do so, it’s important to ask the right questions to evaluate your current IT initiatives and how they can be optimized. Do our current IT initiatives effectively address our business’s priorities? Does it allow us to deliver maximum value to our customers? Are our current technologies proving to be good investments? Are we monitoring the performance of these technologies? How? Are our existing IT initiatives scalable/flexible enough to take the business where we want to go? Is it being appropriately managed and is it an efficient use of personnel? Get your IT strategy right! If you have questions or are unsure about a particular step in our guide, we’re here to help. Schedule a no-obligation conversation with one of our experts today! The questions listed above will help to get the conversation started, but don’t necessarily get specific enough to help you clearly define your needs and set effective goals. 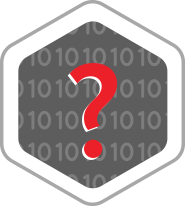 The following questions dig deeper into the specifics of your IT initiatives. What are the top 3-5 business pain points that you need to develop a solution around? What are your top 3-5 business objectives for the coming year? How do you currently plan to achieve them? Is there a more efficient way to do so? Is there a way IT can help support each of these goals? Once you have had a chance to evaluate where your business is heading and how technology can support that transition, it’s time to set clear goals and define how you’ll monitor their achievement. For example, you may have established that your internal document storage is costly and cumbersome, often resulting in lost files or excessive time spent finding and sharing them. In this case, your goal may be to reduce document storage costs by 50% and reduce occurrences of lost files by 95% in the next quarter. You also may have determined that your accounts payable processing times are too long, require significant man-hours, and that too many invoices are returning problems due to human error. Here, your goal may be to reduce processing times by 80%, processing costs by 60%, and errors by 90% in the coming 6 months. The way that you’ll achieve these goals isn’t important. At this point you’re simply defining where you need to improve and getting specific about what those improvements look like. Have your team set as many goals as possible. Then each one can be reviewed and you can eliminate those that aren’t relevant to your core business objectives. Once you have a documented list of goals that represent the foundation of your IT strategy, it’s time to move on to evaluating your current assets. Once you have your goals in place, you’ll need to start looking for the culprits behind the issues those goals address. You’ll need to evaluate your IT investment as a whole, followed by a breakdown of each of your technology assets individually to get a clear picture of what needs improvement. 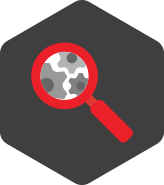 In this section of your document you’ll catalog and evaluate your current assets, as well as they’re current capabilities and limitations. How much do you currently spend on IT? Do you know your ROI for your technology investment? Can you easily see a more efficient way to spend your technology budget? Why haven’t those changes been made? What technologies provide the capabilities required? Where are you making sacrifices? Do your technologies work well together? Are there ways to consolidate your tech to use fewer systems and vendors? Once you’ve been able to identify pros and cons of your current tech, it’s time to do the same with the people, systems, and processes involved in your current small business IT strategy. The way you work with your technology and the people responsible for doing so have as much (often more) of an impact on the efficiency of your IT strategy as the technology itself. In this step you’ll need to evaluate if you’re using your current technology to its full potential. You may already have highly effective technology, but simply aren’t making the best use of it. In many cases, technology can help automate, streamline, or even bypass some of the steps in your current business processes. Ask the hard questions to shine a light on your inefficiencies. It’s the only way you’ll be able to improve them. Do your current business processes maximize the use of your current technology? Have you updated these processes based on the capabilities of your technology? Do you have a dedicated IT person or team? Do they understand the full range of capabilities of your technology? Do they understand how your technology works together to operate most effectively? Are they deploying your technology to its full potential? Do they have the resources/budget they need to perform at their optimum? You may find that you have very capable technology in the hands of less-than-capable employees. You may, in fact, have very capable employees who are doing their best with outdated or incompatible technologies. Or, if you’re like most small businesses, you may be experiencing a bit of both. The next step in the process of developing your IT strategy is identifying the gap between where you are with your current IT capabilities and where you want them to be. That means determining the full capabilities of your existing technology and the people who manage it, then comparing it to the goals you set in the first section of your strategy document. You’ll likely find that there are gaps on both sides. If you’re reading this, it’s probably because you’ve already been able to identify some of these gaps and you’re looking for a way to optimize your IT performance. Start with your technology, then move on to your team. Once you’ve been able to determine the gap between what your existing technology does and what you want to accomplish, begin looking for technology that supports your newly outlined goals. Here are a few examples based on common small business IT goals. Evaluate whether the investment of an in-house data center is right for your business. Modern data storage platforms are more secure, reliable, and affordable than ever but they still typically require a considerable investment, complicated integration, and ongoing maintenance. Your second option, cloud systems, is an increasingly popular choice among small businesses. You may find that the simplicity, flexibility, and smaller investment of a hosted system aligns with the needs of your company. Cloud systems don’t require the upfront investment required when purchasing new hardware and software. Instead, you pay a flat monthly cost which typically results in a lower total cost of ownership. That savings is compounded by the fact that you don’t need to worry about the maintenance of your tech or keeping it up to date. Cloud-hosted systems often deliver a boost in productivity and streamline your operations as they provide more efficient, worldwide accessibility. One of the goals from your IT strategy may be to protect your data more effectively. 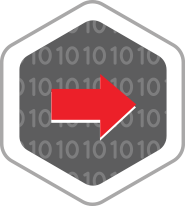 Business continuity services allow you to backup multiple versions of your data in multiple off-site locations. 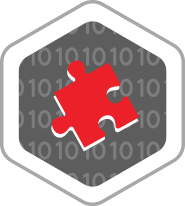 This creates a system of redundancies for emergency situations and helps secure your data from breaches and attacks. Speaking of breaches and attacks, if you need to improve your businesses data security or ensure your compliance with customer data security laws, there is a wide variety of software and hardware that can help you enhance your IT security. For most small businesses, simply installing in an antivirus software won’t cut it. You may need to invest in network encryption, firewalls, and more advanced softwares, as well as professional support to implement it effectively. This can be a costly but necessary endeavor. Don’t have time to finish the guide? Don’t miss out on creating a powerful IT strategy for your small business. Download the PDF now! As an alternative, you might explore whether professional support is an easier and less costly choice to building your own security system piece by piece. Highly effective managed service providers offer security and penetration testing, login analysis and internal vulnerability reporting, advanced threat protection, managed content filtering, network and endpoint protection, and email security for a reasonable monthly fee. In the end, your security protocols are up to you to establish. However, we can confidently tell you that the vast majority of small businesses (like yours) are more vulnerable than they could ever imagine. No matter your goals, it's vital that you understand where you’re at risk and how to remain secure. Be sure to read our recent guide on small business IT security for more on this important topic. If your small business IT strategy includes the need to decrease operational costs and time being allocated to various business processes, technology is available to support that goal. Most businesses allocate far more time than they need to on tasks that can be automated. That means paying people to do unfulfilling tasks and an inevitably high turnover rate in those positions. Instead, keep your employees engaged with meaningful responsibilities and leave the trivial tasks to your software. Imagine how much more engaged your people will be with tasks that truly contribute to your customer experience and business growth rather than tedious accounts payable or receivable processes (for example) that can easily be automated. The benefits of business process automation are extensive, so for more be sure to check out this excellent blog post from DocLib. If you don’t have a clearly defined IT person, outsourced provider, or a mixture of both, that’s a problem. The vast majority of businesses need at least one person dedicated to continually maintaining and streamlining their IT initiatives. If you do have personnel managing your IT, but determined in the previous section that they are less than effective, you may be able to make significant improvement in your performance by hiring the right people. A true IT expert, or a team of experts, can identify the weak points of your IT initiatives fairly quickly and, more importantly, will understand how to go about fixing those issues the right way. Too many IT “professionals” are masters of putting a band-aid on problems rather than actually fixing them at their source. Depending on the size and requirements of your business, determine the best way to go about upgrading your IT personnel. That may mean hiring a new in-house IT person or team, or replacing your managed IT services provider. If you’re hiring in-house, it’s critical that they come with a plan of attack. Look for someone who has been able to provide other small businesses like yours with similar results to what you require. Evaluate their capabilities and look for references from businesses they have helped in the past. Depending on your business, it may make sense to hire in-house, but be sure to evaluate the risks and benefits of outsourcing in order to get the best return on your overall technology investment. Many small businesses don’t fully understand the benefits of outsourcing their IT needs (and in fact their entire IT strategy) to a managed service provider (MSP). The cost of servers, backup facilities, and both software and hardware updates are very costly for a small business, and do little to further your business goals. There are also costs associated with the IT staff that is required to research, install, maintain, and update the equipment and software. By utilizing a managed IT service provider, you eliminate the need for high-capacity servers, offsite storage, additional security, as well as the extra IT staff that is required to handle these issues. Because the infrastructure is either shared or "in the cloud," your business can take advantage of the economies of scale. One of the lesser understood benefits of having an MSP is the diversity of the team. Because you have access to a variety of IT experts, your company is continually receiving input and fresh ideas. Each of these experts is continually exposed to many companies in varying industries which gives them exposure to new ways to improve your IT initiatives. Are you using outdated technology and find that you need to replace it regularly? If so, you’re sacrificing security and increased costs from the necessary purchase of updates to your initiatives and the IT staff you need to have to install and maintain it. In today's highly regulated world, out-of-date hardware and software can mean you lose clients or are exposing your company to expensive litigation risk. With most managed IT service providers, you’ll find that they use the latest and greatest technology. In the dog-eat-dog world these providers live in, it’s a must for survival, which is an advantage to you as a client. As your needs change, your managed IT service can change with you. During periods of growth or downsizing, providers can scale your services up or down. Take, for example, retail during the holidays, the mortgage industry from April through September, or if you’re gearing up to host a big conference with thousands of attendees. The stability of the IT systems offered by managed IT service providers is unequivocally better than anything you can install yourself. They offer multiple redundancies, seamless service, and a resiliency that is unmatched by an in-house system. 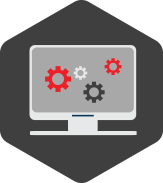 You’ll also find that your managed IT service provider is available for support 24 hours a day, 7 days a week. In the case of a disaster—rogue employee, fire, hurricane, earthquake or anything else that Mother Nature throws at you—you can rest assured that your data is safe and secure with redundancies in multiple locations. Data breaches can be devastating to any company, not only in terms of the dollars required to rectify the situation and quickly put new protocols in place, but the bad press and reactions from your customers. Using a managed IT service can simplify your headache by securing your network, testing and training your users against internet scams and attacks, keeping security protocols up to date, providing secure backups in multiple locations, and allowing for the aforementioned business continuity. Even if you have an in-house IT team, the implementation of a managed IT service provider frees up your IT team significantly, allowing them to focus on core business objectives like moving your company forward and taking better care of your customers. Your employees will also be taking advantage of the latest and greatest hardware and software, with improved features that shave time off of many of the tasks that they need to perform. Book a Complimentary IT Strategy Session! We’re here to support your IT success. Schedule a conversation with our experts to evaluate your needs and goals and determine the strategic steps necessary to achieve them! By this point you’ve identified your need and quantified the gap between where you are and where you want to be. You’ve also identified the solutions that you’ll be using to close those gaps and achieve the goals that your team has outlined earlier in your IT strategy document. Now it’s time to implement those changes. This may seem simple enough, but the truth is that implementation can be pretty difficult for most small businesses. If you’re implementing new technologies, do your IT people have the expertise to ensure that they are implemented correctly? Who will be training the rest of your employees how to use them? Before you jump into the deep end, it’s time to document your plan of action. Whatever you chose to do to close the gap in your technology needs, be sure that your choices are documented in your IT strategy document. By documenting the information above for each of the changes you’ll be implementing, you’ll have a clear roadmap to rolling out your successful IT strategy, step by step. Remember, it’s important to stagger each of your action items so that you allow enough time and resources to implement each change effectively. Your budget may already restrict you from making all of your changes back to back, it may not. In either case, rather than trying to get everything implemented as quickly as possible, allow plenty of time to make changes. For example, if you’re implementing a new VOiP phone system, be sure to give each of your employees a heads up well in advance. When you actually make the swap, make sure that everyone is trained in using it just like your old phone system, as well as on any new or additional features and functionalities that may be able to improve the way they operate. Then give it a few weeks (or longer) to take hold before springing any new changes on your busy employees. That will provide enough time for people to ask questions and get truly comfortable with the new technology. Then, and only then, can you move on to the next initiative outlined in your IT strategy. The more significant the change and the more complex the technology (longer learning curve), the more you’ll need to invest in training and the more time you’ll need to allow for people to get comfortable. 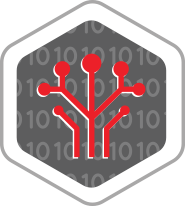 The same protocols should be used for any management or personnel changes that your IT strategy calls for. In fact, it often takes people more time to learn new roles and for other employees to get used to them than it does with technology. As with any new business initiatives, each action you take from your IT strategy will require careful performance monitoring. After all, you want to make sure everything you’ve planned is proving to be as effective as you expected. It’s rare (i.e. unheard of) to implement a complete IT strategy overhaul and have everything run perfectly out of the box. That said, with careful research and planning while creating your strategy document, you’ll be far better off. Each new technology or IT management change you’ve implemented will need to be closely watched, especially during the first few months. The team you established to support the creation of your IT strategy will need to meet regularly to discuss the outcomes of each implementation. By meeting often you’ll be able to ensure each of the solutions selected is addressing the pain points of each department as they were meant to. Expect to have issues arise, and regularly. The important thing is to work with your team in order to resolve the issue for each department ambassador to the best of your abilities. These regular optimizations will lead to improved performance throughout your company. Finally, there are cases where the technology you’ve implemented simply doesn’t live up to your expectations. Maybe it’s the technology’s fault, but often it can be attributed to human error. There is no shame in admitting that you’ve made a mistake and changing course to implement a different solution to your problem. Before you do make a course correction, you may want to consult a professional. Trained experts (like ourselves) can help businesses get up and running smoothly and help optimize the performance of their technology, unlike many in-house IT teams are able to. If your IT strategy didn’t initially include using a managed services provider, that doesn't mean you can’t turn to one when problems arise. Many businesses put significant effort into creating their own IT strategy but still run into problems, and understandably so. In these cases seeking out professional help, even temporarily, can help resolve issues far more quickly and get you back on schedule for implementing the rest of your IT strategy. In fact, these experts can typically provide you with ways to optimize your strategy during a single conversation or on-site evaluation. In any case, you’re ready to begin creating, implementing and optimizing your new small business IT strategy. If you’re not sure how to begin or get stuck at any step in the process, we’d be happy to help you iron out the wrinkles so you can move forward most efficiently. Schedule a conversation with one of our IT experts so they can support your strategy creation, answer any questions, and make recommendations about how to optimize your IT initiatives. Before we leave you, let’s quickly reinforce a few of our favorite IT strategy development best practices to send you on your way prepared for success. Create a diverse team that represents your entire company to support the creation of your IT strategy document. Think about including people outside your company as a sounding board. Establish clear, relevant, and achievable business objectives to support your immediate and long-term success. Set specific and measurable goals that your technology can help achieve, as well as a timeline for each. Evaluate the weaknesses of your current IT initiatives objectively in order to identify as many opportunities as possible. Be sure to determine whether those weaknesses are related to the technology itself, to the people responsible for your technology, or a mixture of both. Establish a comprehensive list of technology and management opportunities in order to select those that best support your core business objectives and priority goals. Define the expected benefits of these opportunities, their expected ROI, and how you'll monitor their performance. Implement each new opportunity in a phased approach, allowing time for your people to adjust to the changes and for initial problems to be resolved. Encourage your employees to embrace new opportunities by giving them plenty of time to prepare for the change, involving them in the process as much as possible, and training as much as necessary for them to get the most out of the new technology. Encourage your employees to come to you with questions or problems they’re experiencing in order to flesh out issues more quickly and decrease the growing pains associated with the learning curve. Be flexible when creating your IT strategy, allowing room for changes to be made and continually optimizing each new change you make. Make a habit of continually updating your IT strategy document by meeting with your team in an effort to stay ahead of the curve and keep your strategy effective. Invest in your IT success! Schedule a 30-minute conversation with one of our experts. We’ll help you evaluate your unique needs, establish a foundation for a highly effective IT strategy, and set your business up for success!